Be our guest! We enjoy a lunch meeting every Thursday at noon. 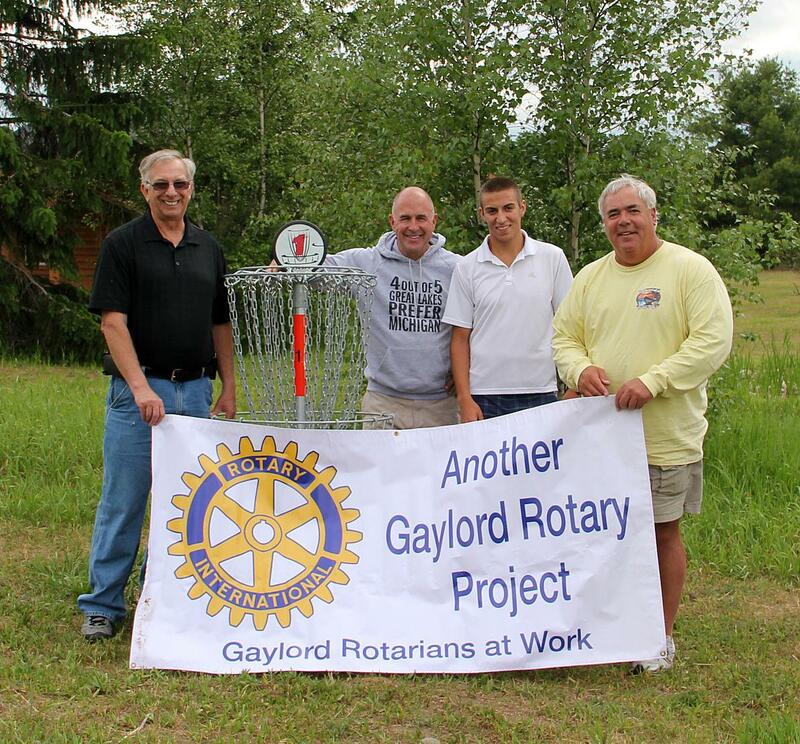 We’d love for you to join us to see what your Rotary Club of Gaylord is up to in the community. We are a network of neighbors, friends, leaders, and problem-solvers who see a world where people unite and take action to create lasting change – across the globe, in our communities, and in ourselves. Solving real problems takes real commitment and vision. Our mission is to provide service to others, promote integrity and advance world understanding, goodwill and peace through fellowship of business, and through professional and community leaders. 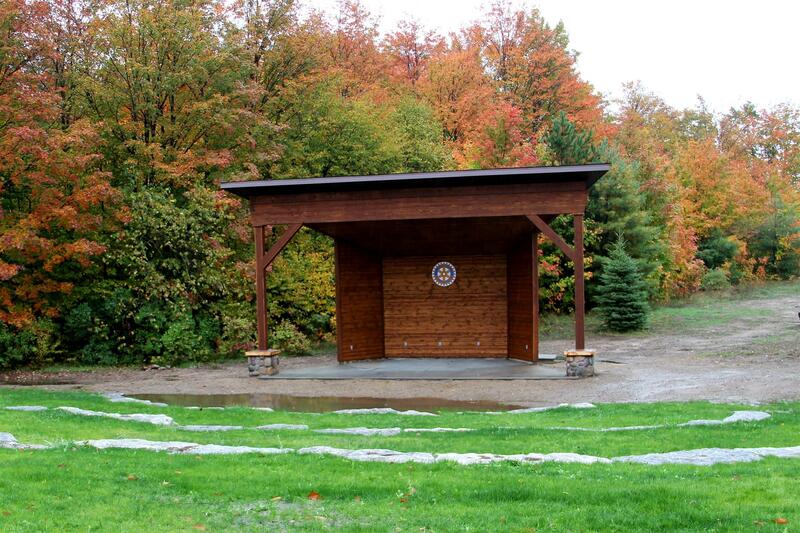 Celebrate Fall with the Rotary Club of Gaylord! 2017 Dominican Republic Service Trip! 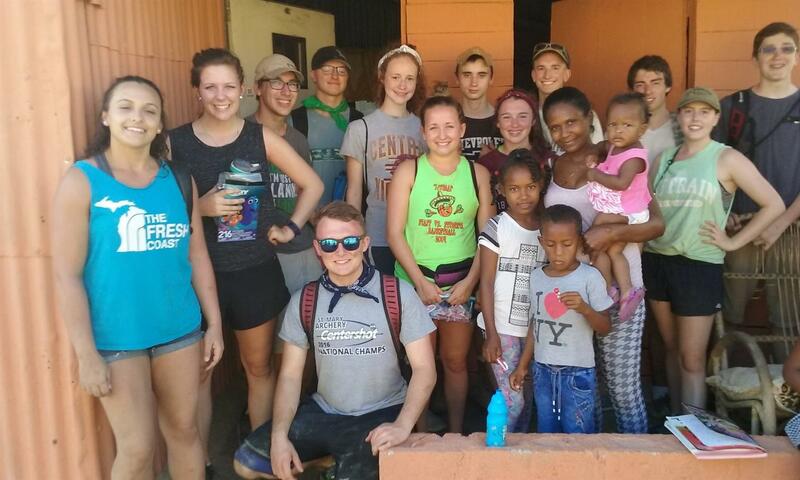 Our Dominican Republic Service Trip 2017 was a great success! Locals dug the footings for 2 homes. We built the steel rebar framework for footings and all columns. We then made, hauled and poured cement for all footings. We poured cement in cores and columns. Then laid three courses of block and then back-filled dirt to level floor for cement. A new team arrives Saturday and will bring walls up another 7 feet and ready it for the roof the following week. Third team does plumbing and electrical. New homes to be occupied within four weeks. Students and Rotarians made a trip to the market, old colonial city, Three Eyes ( sub-terranian lakes), Carib to swim and hotel for night. We also saw some amazing waterfalls! Dates for next year trip are Feb 2 to Feb 10, adding one day for trip back to San Juan and party at a farm. Great trip. All students loved it and want to return. 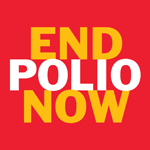 Rotary doing good in the World, promoting peace and fostering goodwill. Gaylord Rotarians met at the Rotary Bill Granlund Memorial Trail at the middle school on Sunday to clear out the overgrowth and make the trail accessible in width for the snow groomer! We will be updating main signage and nature station markers in the Spring. A re-dedication of the renovated trail is happening in May 2017!